An American 2-Row malt of exceptional quality. Contributes a clean, sweet, and slightly malty character along with a light straw color. 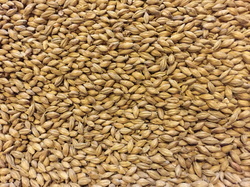 1.8° L.
Malt grown in Scotland. Produces a clear, sweet wort that is less bready than maris otter. Great for Scottish style ales. Also is nice to add complexity to pale ales and IPAs. 1.7-2.0° L.
Perfect foundation grist for all lagers. Provides finished beer with substantial body and mouthfeel, as well as good foam development and head retention. A very flexible malt it can also be used in many ales as well for a clean and different approach. 1.5-2.2L. Use up to 80% for wheat beers, or in smaller proprtions to add body and head retention to Kolsch, altbier, and other ales. Protein rest recommended. 1.5° L.
Formerly "Dark Munich," It produces robust malt characteristics, including full body, deep amber color, and smooth mouthfeel. The flavor is strongly malty and the rich aroma has notes of caramel, honey, and bread. 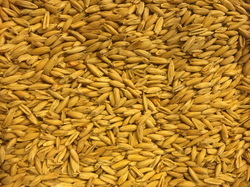 Munich malt is typically used in dark lagers and ales, especially Munich-style lagers, various bock styles, and German festival beers like Märzenbier, Festbier, and Oktoberfest. 8-9.9L. It produces full-bodied beers with golden color and smooth mouthfeel. The flavor is malty-sweet with gentle notes of honey, almond, and hazelnut. Equally suited to both ales and lagers, Weyermann® Vienna malt is specifically designed for use in Vienna style beers, Festibiere, and Maerzenbier. 2.8-3.9 L.
This malt is a kilned, lager-style base malt. 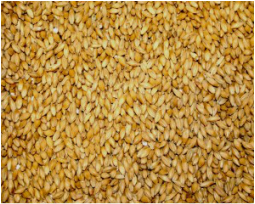 Floor malting gives the malt a satisfying, earthy malt flavor and an intense aroma with notes of biscuit and honey. High proportions of floor-malted grain provide a smooth mouth feel. Floor-Malted Bohemian Pilsner malt is perfect for historical brews, especially authentic Bohemian Pilsners. It is also an excellent base malt to use wherever high-quality, hand crafted ingredients are wanted. 1.6-2.3 L.